MIAMI -- Mitt Romney seemed less than eager to answer Wednesday when Jorge Ramos, moderator of a candidate event at Univision, asked him pointblank: "How much money do you have?" "Well, you tell me and I'll tell you," Romney joked. To which Ramos replied: "I'm not running for president." Romney said he understood and referred Ramos to a financial disclosure statement of his assets. "I think the estimate in there was a pretty wide range, it's been widely reported and my net worth is within that number," he said. "It's between 150 and about 200-and-some-odd million dollars, I think that's what the estimates are." 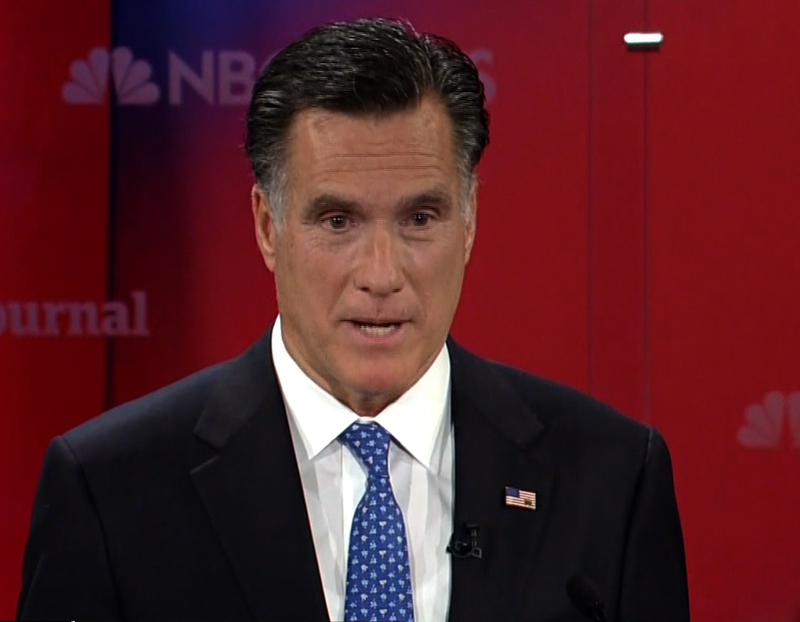 Romney added that "by the way, I didn't inherit that." He said when his parents died, he gave away what they gave him to charity and to his children. "What my wife and I have, we earned," Romney said. Romney, whose father was born in Mexico, laughed when asked if he could claim to be Mexican-American. He joked that he wouldn't make that claim but "I would appreciate it if you could get that word out."